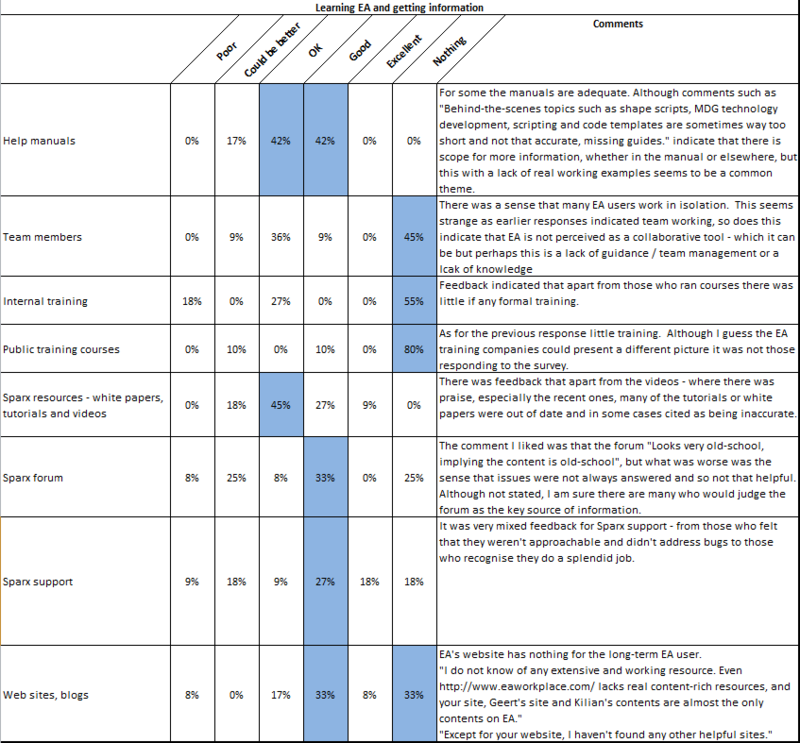 eaForms – is there a need for a simple EA client to help get people on board? Needless to say, some of these people are just not be interested, whilst some may be willing to provide this information in a document or spreadsheet. The former is the biggest challenge whilst the second will involve potentially time consuming, error prone work in harvesting the required content. Furthermore, if I’m the person doing the work, and not gaining any real insights into the project, I really don’t feel it’s good use of my time. 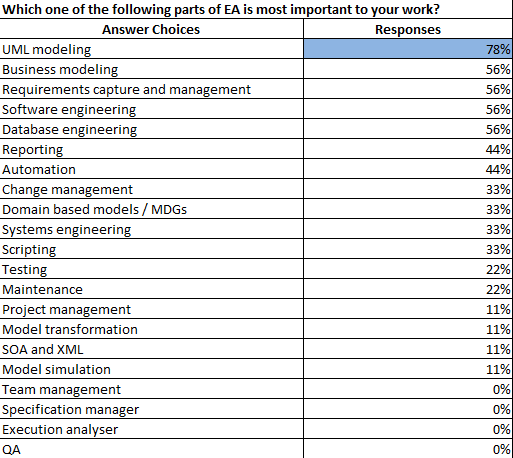 Yes there are tools to help (here’s a plug for eaDocX – it can readily import information from Excel; I wrote the Excel part following years of using VBA to get Excel content into EA – and it really does help! ), but although a great help wouldn’t it be better if the creator of the information was able to work directly with EA? aren’t interested, don’t understand why “another tool” and certainly don’t want to have to learn a new tool, and don’t have the time and will find any excuse to avoid meetings/trainings – the worst of the “reluctant users”. And unless remaining in their job depends explicitly on using EA they won’t, and it’s yours truly who will be picking up the pieces to ensure the completeness of the project. So with eaForms we aim to help by reducing the perceived complexity of using EA, making it easier for users to get on board by reducing barriers to entry, and importantly, with the help of the local project experts, ensure that the editing forms meet the specific needs for the project and its users. For an example Use Case form we only included the information our BA required using simple controls to help with the data input. Also in hiding tagged values and using dropdown lists to limit input values to a pre-defined list we made it clearer what information was needed and any choice restrictions that should be applied. 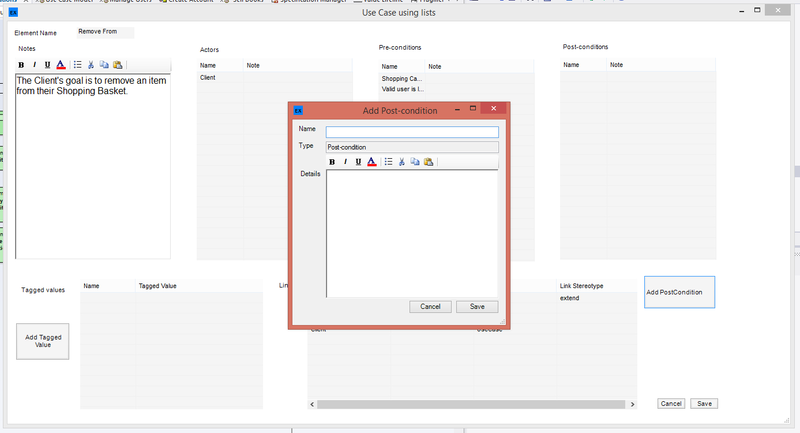 We were thinking about our reluctant user’s and wondered whether it was possible to use the same form definitions we create with eaForms, but instead of within an AddIn use them within a simple standalone client that would. In taking this approach, we could remove the need for the user to open EA and potentially, further reduce the barriers to using EA. 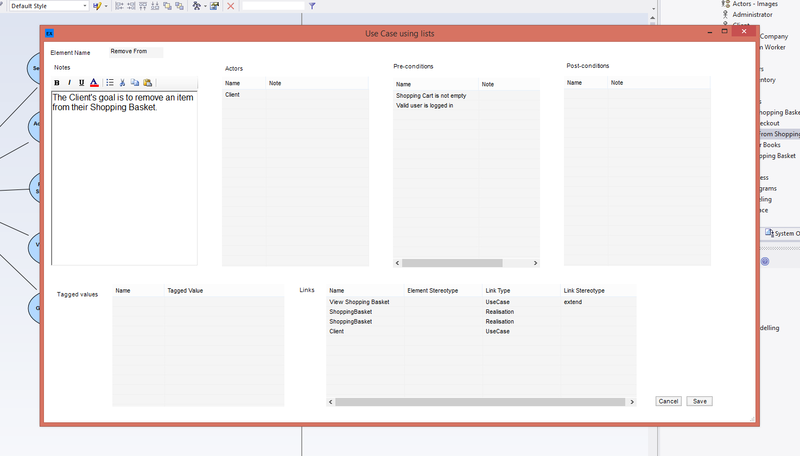 To test the idea we have produced a simple prototype client (illustrated below), with minimal menu options; we only offer – open and close an EA project, edit an existing element selected from a project browser and add/delete elements using editing forms defined to meet your project needs. Using this client the user sees a much simplified interface and no longer needs to open EA and potential be confused or intimidated by the great range of options. Remember our aim is to get users on-board quickly, so we hope that our eaForms client will provide either the new or reluctant user with a means to be included directly in the project work within minutes. 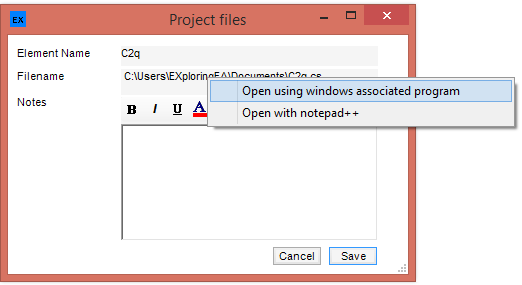 To be clear this is not a substitute for most EA users and is certainly not a powerful feature rich client but provides a simple means to capture important information into our EA projects without the existing EA users having to convert documents (Yippee!). 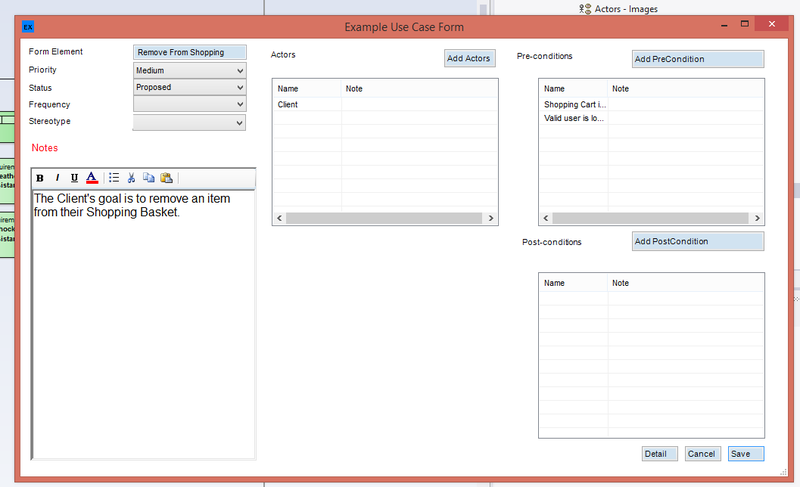 With the flexibility of eaForms the element editing forms can be tailored to meet users needs by project users. They may include simple or complex controls, richer “gadgets” and action buttons to perform project specific task plus the ability to drive consistency of data input through value selection rather than free data text. 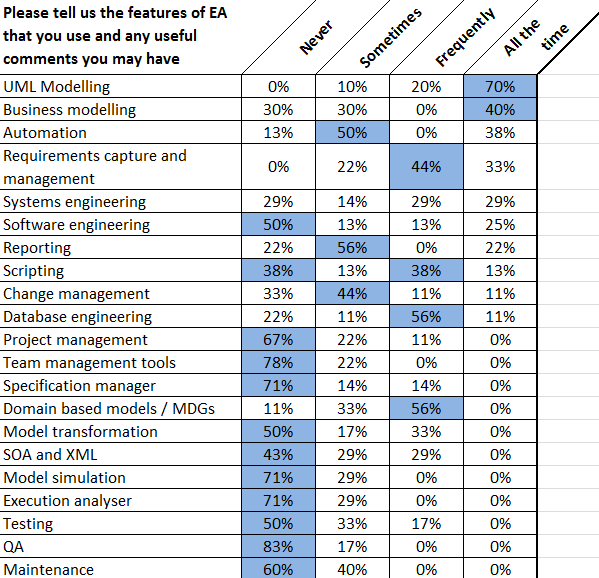 NB: Before I continue, there will be many, including myself, who feel users need to overcome their resistance to learning some UML and get to grips with EA. But as we all know we don’t live in an ideal world, and have to adapt. So if our client provides a means to ensure that those that should be involved with our projects are, then we must surely increase the likelihood that we will have better projects. Now it is my turn to ask you a question. We have a very small sample set of customers and hence we are interested your views. As a reader of this post it is more than likely that you are a committed EA user, so no need for this client, you are not the target audience (although eaForms may be of interest), however you may work with people that you would like to be users. Who are they? 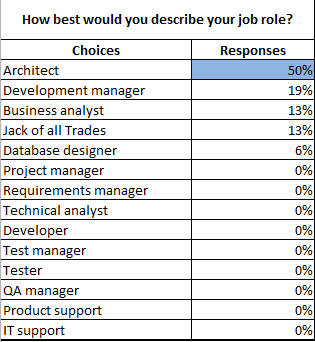 What are their roles? What tools do they use when they should be using EA? What would they need for a tool? Would providing them with a simpler client help them better understand the value of EA and hopefully lead them down the path to becoming a real committed EA user? Would having a simple client help you, if only to reduce all the harvesting that you may have to do! Does the concept of a simple client make sense? 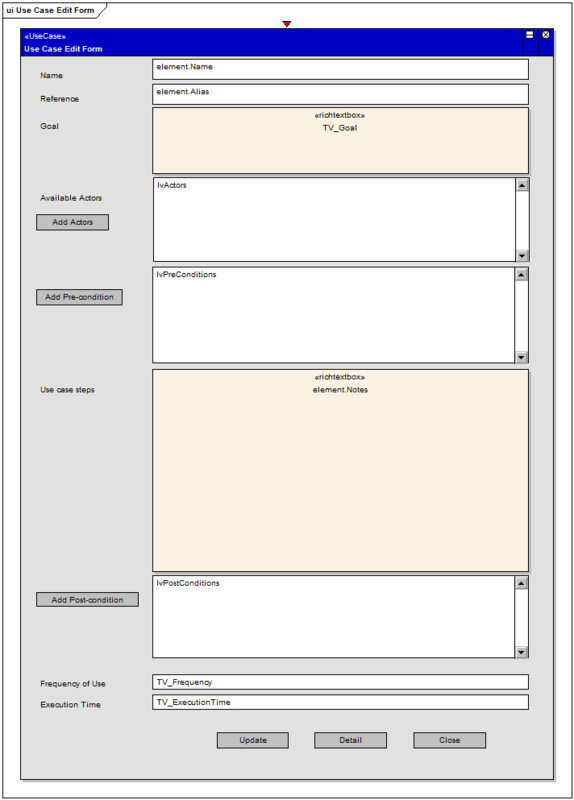 This entry was posted in All, Manager, Users on 23/03/2015 by exploringea.